Special Price - 27% OFF! Galway Irish Crystal Dune Waisted Vase, 12" Tall. 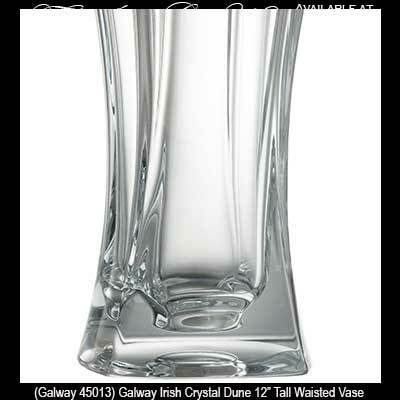 This Galway Irish Crystal, Dune Waisted Vase, measures 12" tall x 6 1/4" wide at the rim and 4 1/4" wide at the base. 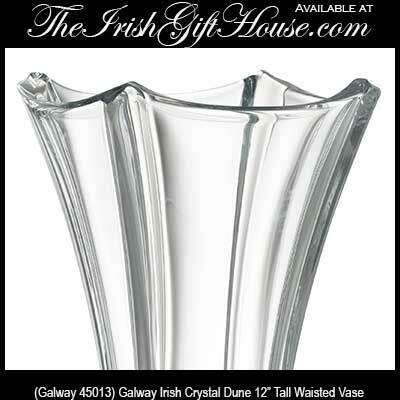 The vase, from Galway, Ireland, is 24% leaded crystal and is gift boxed.